By writing by hand dates on business cards, and then scanning with "Use handwritten dates first", the staff will transcribe this date as the date received. Please be aware that as it can sometimes be difficult to read handwriting, we can only make our best effort to do this accurately. 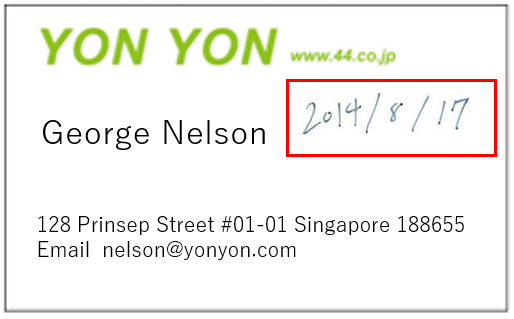 When you scan business cards, select "Use handwritten dates first". After that, when you press "Start scan", the staff will give priority to handwritten dates as date received. 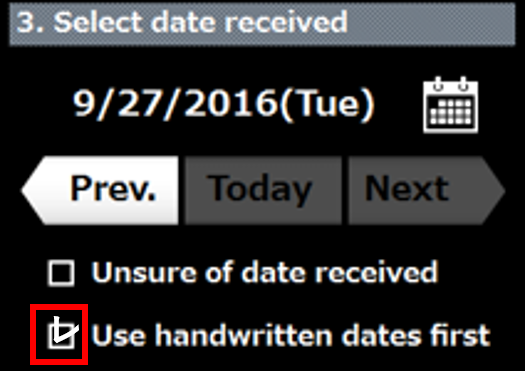 Even if you select "Use handwritten dates first", when there is no handwritten date or if it cannot be read, a date received will be registered according to what was selected on the Scanner App when the card was processed. (Today) is chosen: The selected day will be displayed in the field for date received, and this will set as the date received. No date received will be set. Handwritten dates will be transcribed to the best of our ability.As handwriting can be difficult to read, this falls outside of our guarantee of quality. For how to write dates so that they are easy to be transcribed, please see the Transcribing Rules. This setting only applies to and is reflected in the Scanner App it is set to. When using multiple Scanner Apps, please set each terminal individually. 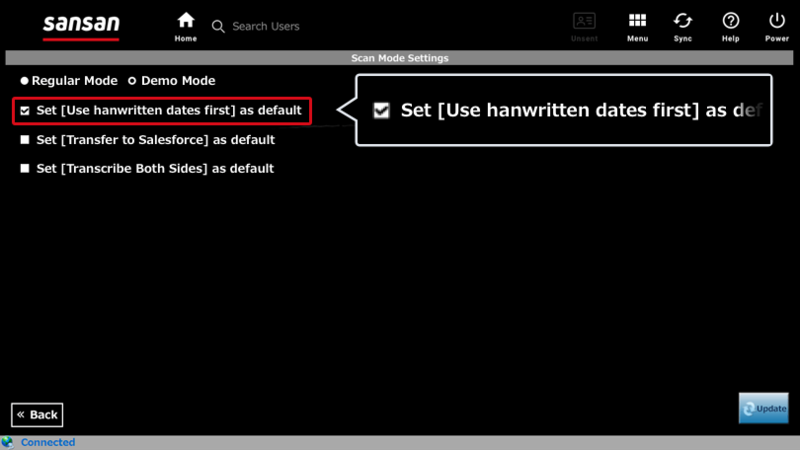 If you use the settings below, data will be processed with handwritten dates as first priority. 1. From "Menu", press "Settings". 2. 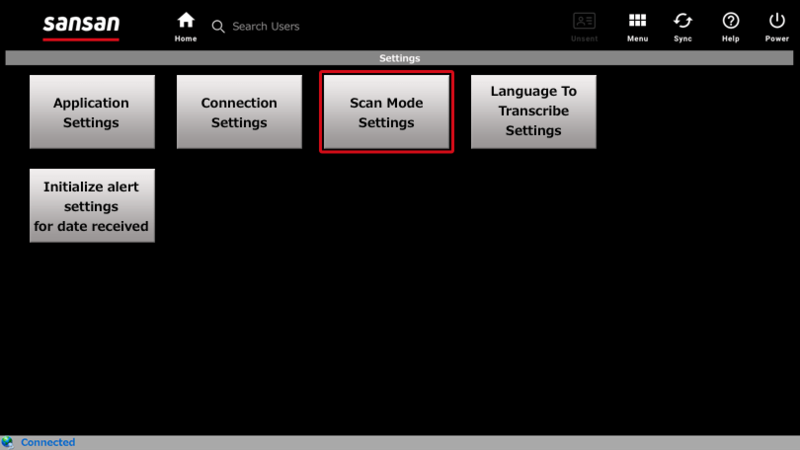 Press "Scan Mode Settings"
3. 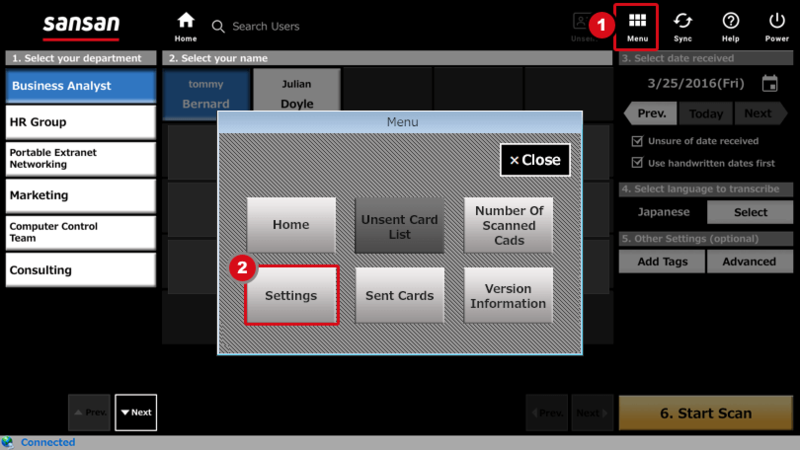 Put a check "Set [Use handwritten dates first] as defult", and then press the "Update" button. 4. Proceed with scanning as usual.